For a long time in the anime, Ash had a Greninja that was a fan-favorite. So when I came across a deck featuring Greninja-GX FLI 24, I knew I had to take a look at it. I found it posted on the PokeBeach Forums by a user named MegaAbsol10. It was played by Alexandre Sole to a Top 8 finish at SPE Bolzano (seniors). Let's take a look at the deck. 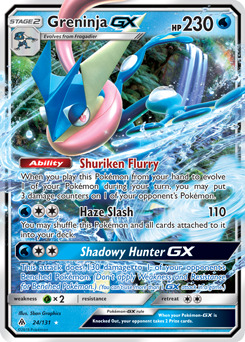 With Greninja-GX FLI 24, you're able to put three damage counters on any of your opponent's Pokemon thanks to its Shuriken Flurry Ability. 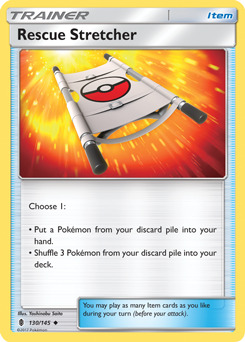 This can be especially useful after your opponent has retreated a damaged Pokemon that's on its last legs. 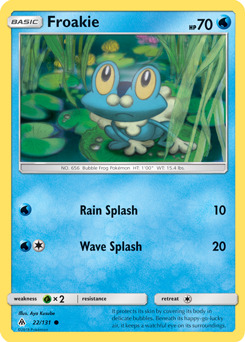 You can use this ability repeatedly by attacking with Haze Slash, which also happens to deal 110 damage in addition to shuffling Greninja-GX FLI 24 and all attached cards into your deck. 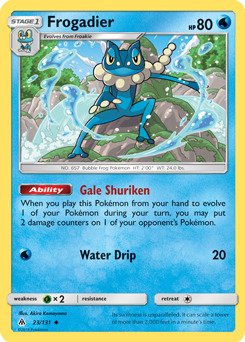 Frogadier FLI 23's Gale Shuriken Ability is similar to Shuriken Flurry, but deals one less damage. While these abilities may be a little slow, it's important to evolve so that you get this extra damage and make it easier to knock out your opponent's Pokemon quickly. 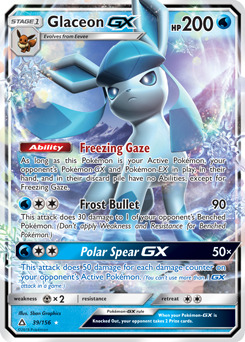 The Freezing Gaze Ability of Glaceon-GX UPR 39 makes it so that your opponent's Pokemon have no effect. 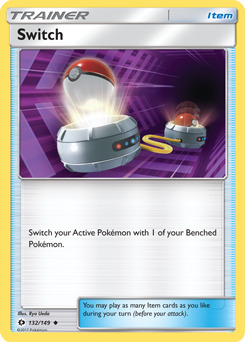 This is especially great when facing Lycanroc-GX GRI 74 as you don't have to worry as much about having your Active Pokemon switched with a Pokemon from your bench that might not be as powered up. But Lycanroc-GX GRI 74 isn't the only Pokemon this affects. Tapu Lele-GX GRI 60, Zeraora-GX LOT 86, and Zoroark-GX SLG 53 all have great abilities that are nullified by Freezing Gaze. Glaceon-GX UPR 39 also has the Frost Bullet attack that deals 30 damage directly to an opponent's Benched Pokemon while also dealing 90 damage to their Active Pokemon. KO'ing two Pokemon with one attack is quite possible with Frost Bullet. 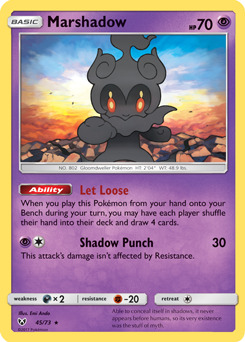 With Marshadow SLG 45's Let Loose Ability, you're able to disrupt your opponent's plan after they've begun to sculpt their hand. 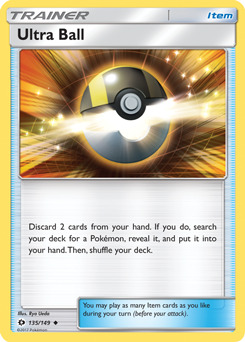 It can also help you as a way to draw cards when you've played your hand out and have less than four cards in hand. You'll never be able to attack with Marshadow SLG 45 though, as it's Shadow Punch attack requires Psychic Energy, which you don't have access to in this deck. 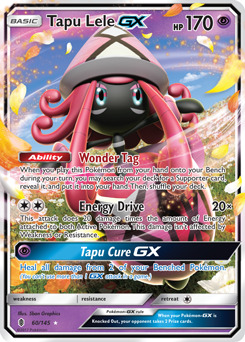 While you only have a single copy of Tapu Lele-GX GRI 60, playing it allows you to search your deck for any Supporter there. As you'll see, the Supporters in this deck all help you draw additional cards or help set up favorable attacks. All are powerful effects, and having a copy of Tapu Lele-GX GRI 60 can help you find what you need quicker. 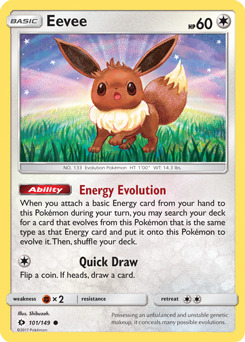 In a pinch, you can also use Energy Drive as an attack thanks to it only requiring colorless Energy. Lillie UPR 125, Cynthia UPR 119, and Guzma BUS 115 are all of the Supporters in this deck. 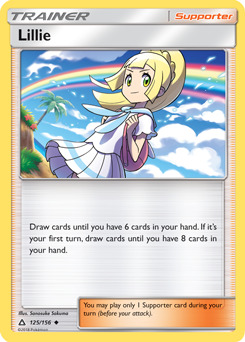 Lillie UPR 125 is best when played on your first turn, but she's still good even later in the game. 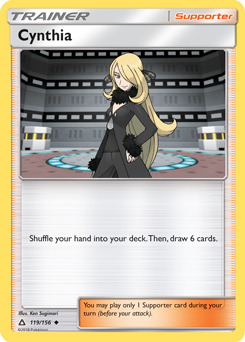 Cynthia UPR 119 is a great way to draw a new hand of cards when you have things that are not as useful in your hand or when you have only a couple of cards left. 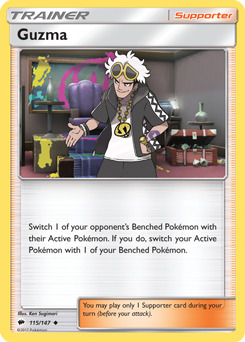 With Guzma BUS 115, you have a great way to set up an attack that allows you to knock out two of your opponent's Pokemon with one Frost Bullet attack. Here's a group of cards that allow you either to search for specific cards you need, or to discard specific cards to your discard pile. 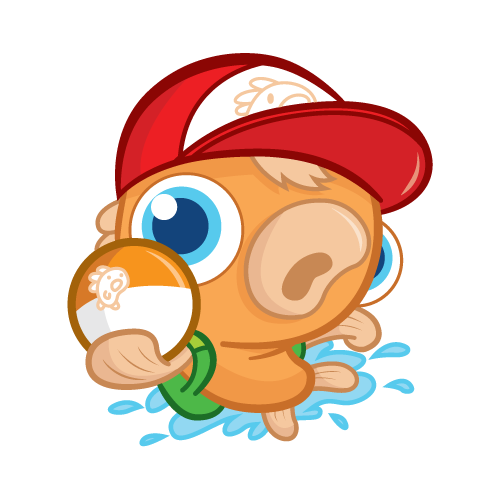 Nest Ball SUM 123 can only find a Basic Pokemon, so it's very limited. On the other hand, Ultra Ball SUM 135 can find any Pokemon you need. 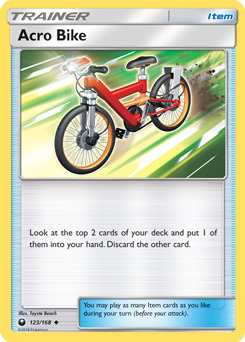 Both Ultra Ball SUM 135 and Acro Bike CES 123 will put cards into your discard pile, and you might want to consider putting a Water Energy 3 or two there for use later. 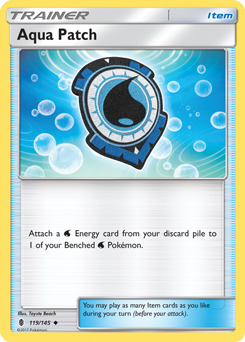 Aqua Patch GRI 119 is the reason you might want a couple of Water Energy 3s in your discard pile. 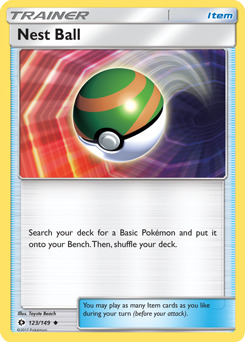 It allows you to power up a Benched Water Type Pokemon very quickly. Switch SUM 132 helps you move up a Pokemon that you've powered up with Aqua Patch GRI 119 and allows you to retreat a wounded Pokemon without paying the retreat cost. 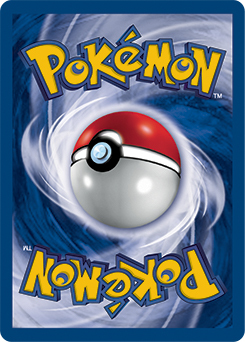 Even though you might have shut off their Abilities with Glaceon-GX UPR 39's Freezing Gaze Ability, many Pokemon-GX still have powerful attacks. One of the best way to deal with a Pokemon that has an attack you'd rather not have them using against you is to knock them out before they can use it. 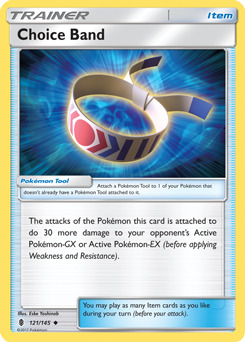 Choice Band GRI 121 helps you do that by dealing out a little bit of additional damage, which could be the difference between knocking the Pokemon-GX out or allowing it to get one last attack. Super Scoop Up BUS 124 offers you a way to return a Pokemon you have in play and all cards attached to it into your hand so that you can play it again. It's a great way to utilize Greninja-GX FLI 24's Shuriken Flurry Ability multiple times. 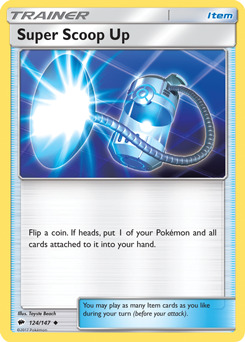 It can also help you deny your opponent the chance to draw one (or more) of their Prize cards. Rescue Stretcher GRI 130 allows you a way to get Greninja-GX FLI 24 back if it happens to get knocked out. If you're looking for a deck that has the ability to knock out multiple Pokemon with a single attack, you should give this deck a try. It's a proven deck that looks like a lot of fun to play. Thank you to PokeBeach.com Forum user MegaAbsol10 for posting this decklist, and congratulations to Alexandre Sole on the Top 8 finish.